Nikolaas was born in 1980 as a son of Dr. Carlo Gyselbrecht (a passionate pigeon fancier and veterinary surgeon). 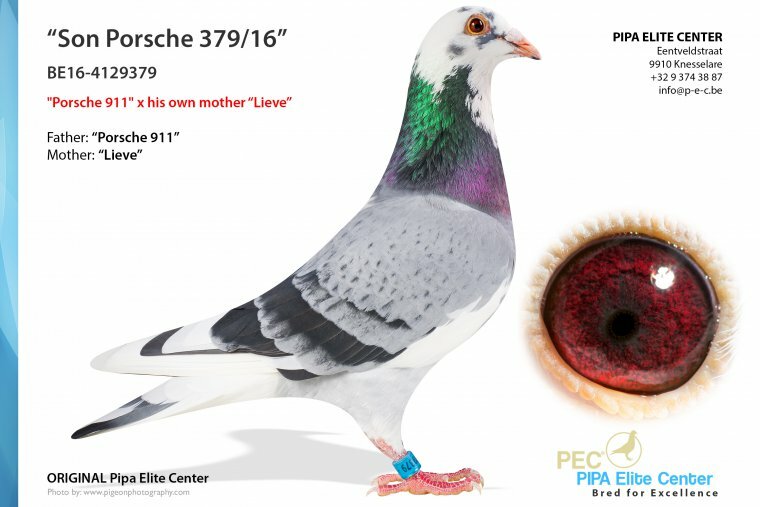 Both his father, his two grandfathers (Remi and Valère), one great-grandfather (Maurice), and three uncles (André, Luc and Georges) are involved in pigeon racing. 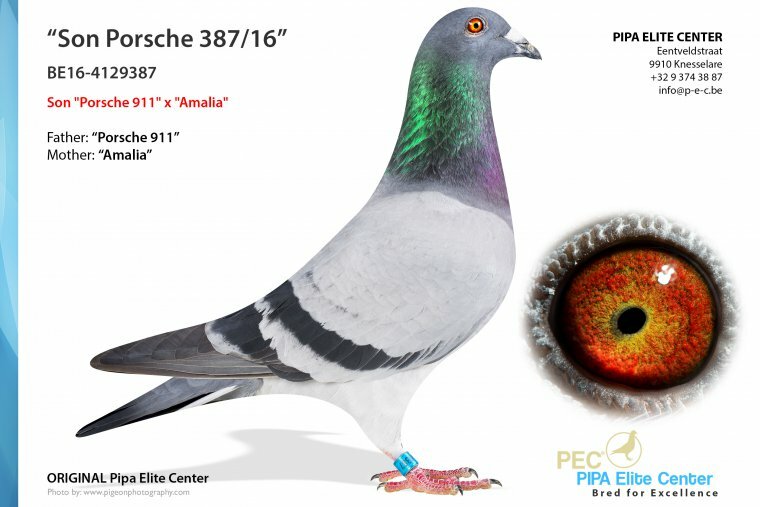 It is no surprise that Nikolaas developed a passion for pigeons as well. As a youngster, Nikolaas would always go to his grandfather Remi to wait for his pigeons to arrive home. He was also there when Remi clocked his international winner from Barcelona 1995, which was one of the hardest Barcelona races in history. Nikolaas was running his own pigeon loft as a teenager but his father Carlo wanted him to focus on his studies before spending time in the pigeon loft. Still, Nikolaas never lost his passion for pigeons, and he founded PIPA in his student room. 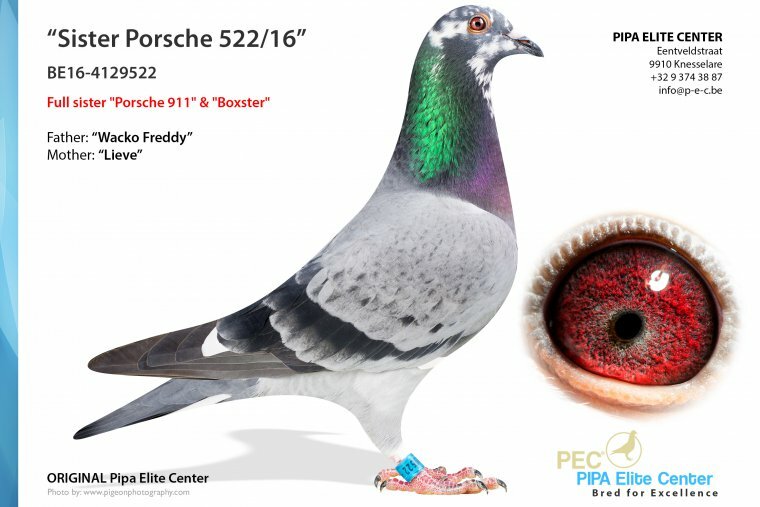 PIPA quickly became the largest auction house for exclusive pigeons, as well as the most visited pigeon website worldwide. 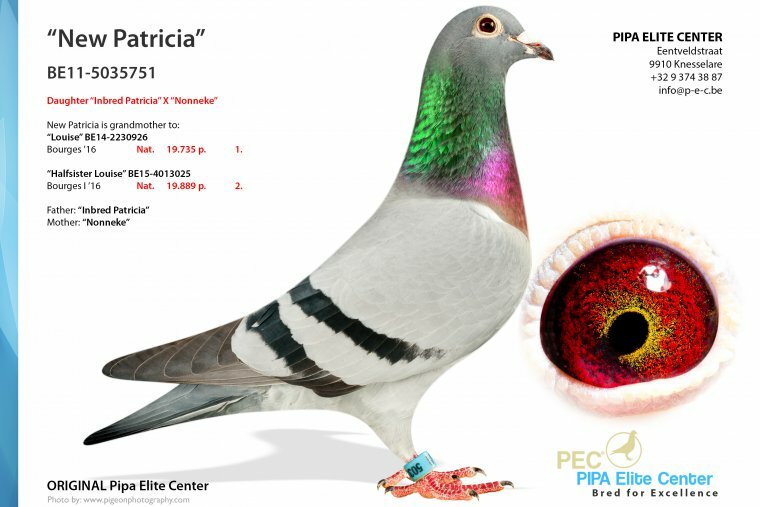 There was a lot of work that had to be done in the first few years of PIPA, which is why the pigeons had to play second fiddle for a while. 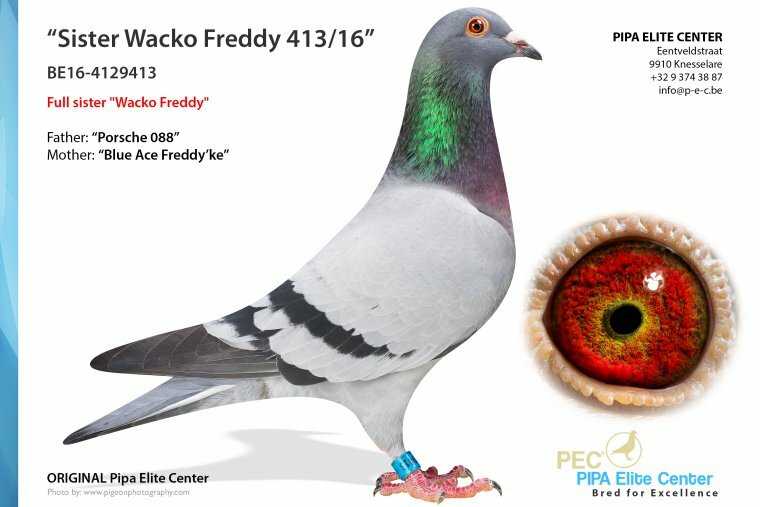 This had to change, and the PIPA team came up with the idea of founding a PEC, to breed a superior strain of pigeons. 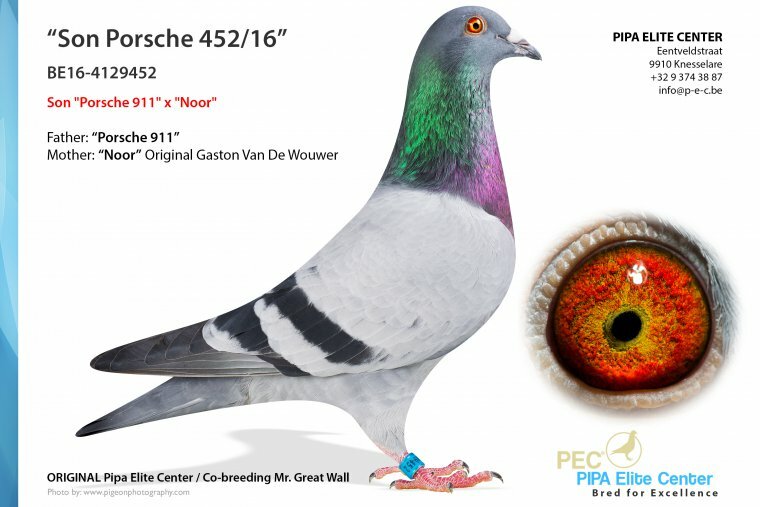 Pigeons are raced in 2 top lofts in Belgium : RACING TEAM ADK (Pascal Ariën) and Casaert-Sénéchal (Sébastien Casaert); we also participate in one loft races. Founding pigeon New Freddy, great grandfather of the current Icon "Porsche 911"
"This is just a perfect pigeon, like there are only very few in the world..."
Father "Porsche 911" & "Boxster"
Mother "Porsche 911" & "Boxster"
Grandfather "Porsche 911" & "Boxster"
Grandmother "Porsche 911" & "Boxster"
Brothers/Sisters/Children "Porsche 911" and Brother/Sister father "Porsche 911"
Mating hen "Porsche 911" : "Amalia"
Mating hen "Porsche 911" : "Louise"
Congratulations Nikolaas! 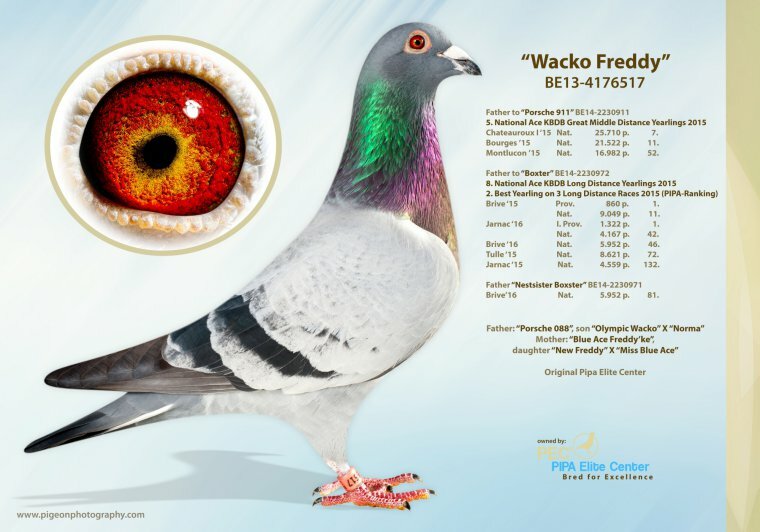 Wishing you all the Best as I believe in you as the best pigeon fancier and collector across the globe. Best of Luck to you and PIPA Elite Center team. Thanks a lot Karim ! Très Intéressant à lire et très beau projet d'excellence. 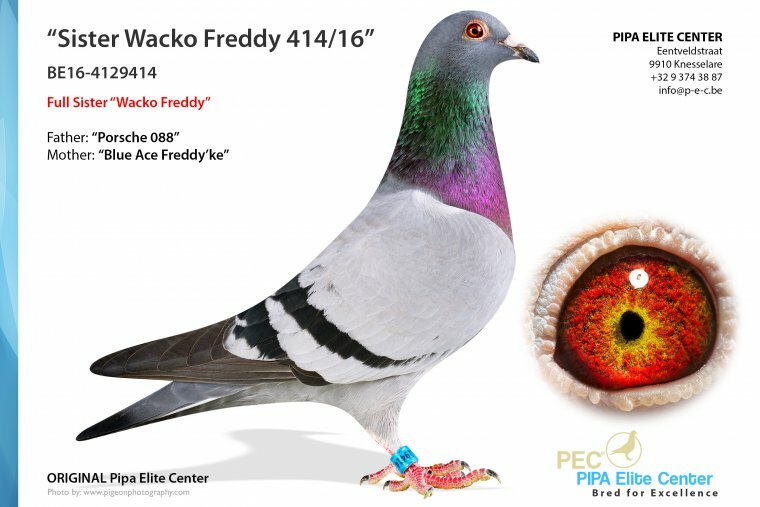 C'est ce qu'avaient lancé les Eijerkamp avec les V.I.P ( Very Intelligent Pigeon ) il y a quelques années. Les "vraies" races all round je n'en connais qu'une seule pour le moment. Les van Breemen. 40 ans de sélection suivie. Quoiqu'il en soit beaucoup de bonnes choses pour votre entreprise. 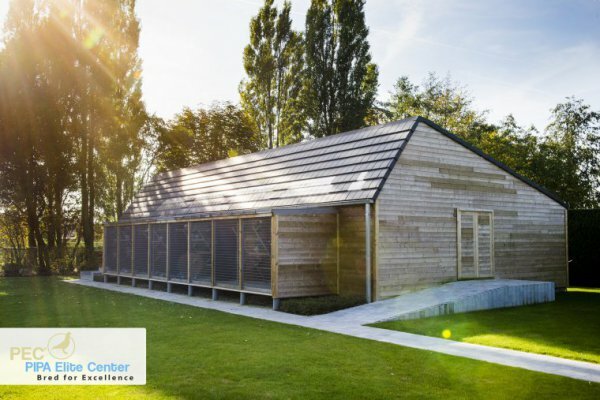 Very interesting to read and a very beautiful project of excellence. 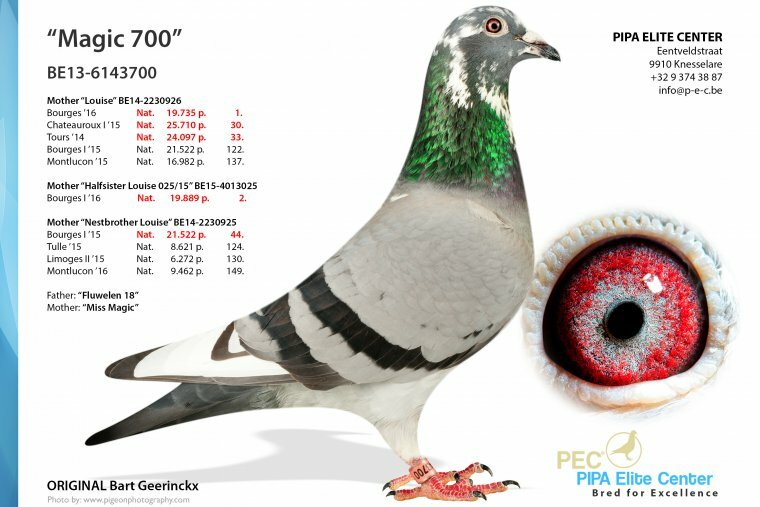 This had been launched Eijerkamp with VIP (Very Intelligent Pigeon) some years ago. The "real" allround Race I just know one actually. The van Breemen's. 40 years of selection followed. Anyway lots of good things for your business. Felicitaties en natuurlijk veel succes!!! What a collection, very impress, good luck wish you the best. thanks for all the nice comments ! The first impressive results are there. 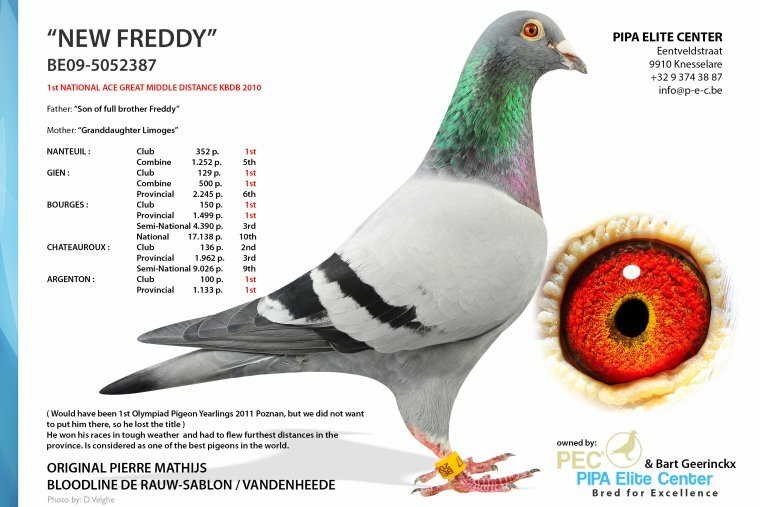 PEC pigeon wins 18th national 31.000 young birds Bourges @ Vandenheede lofts. 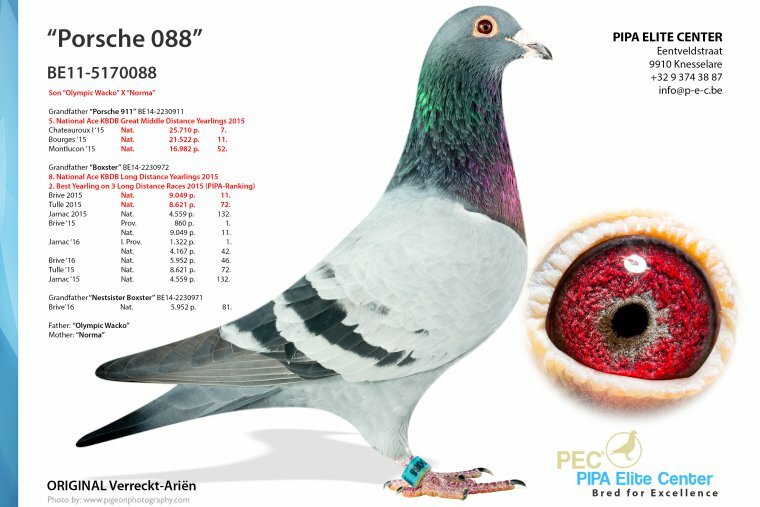 Same pigeon won the week before 4th provincial 2500 young birds and the week before 26th 685 young birds, only 3 times basketted ! A great setup. Best wishes for continuing success. that 'dau-blue prins' is another super pigeon.. congratulations and good-luck on Ur team .. ! WoW! ,, a BIG WOW !! 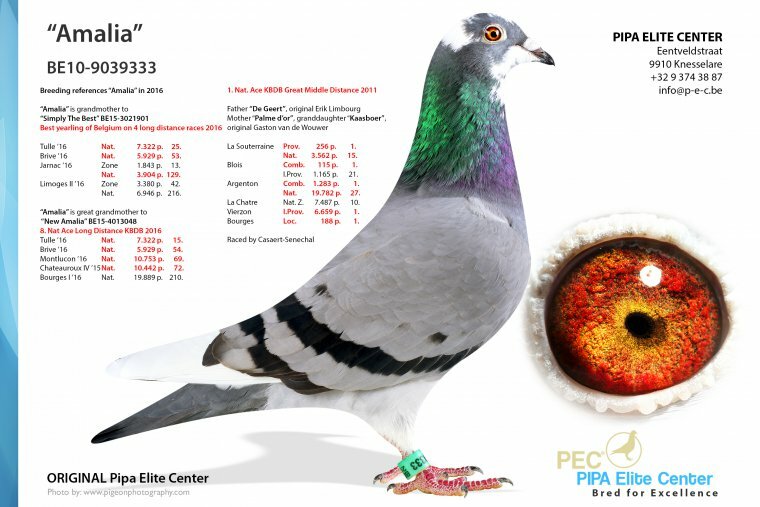 P.S: I also want to see a result from Lucky 848 when mated to "golden hen lucky 085"... I feel that would be huge !! 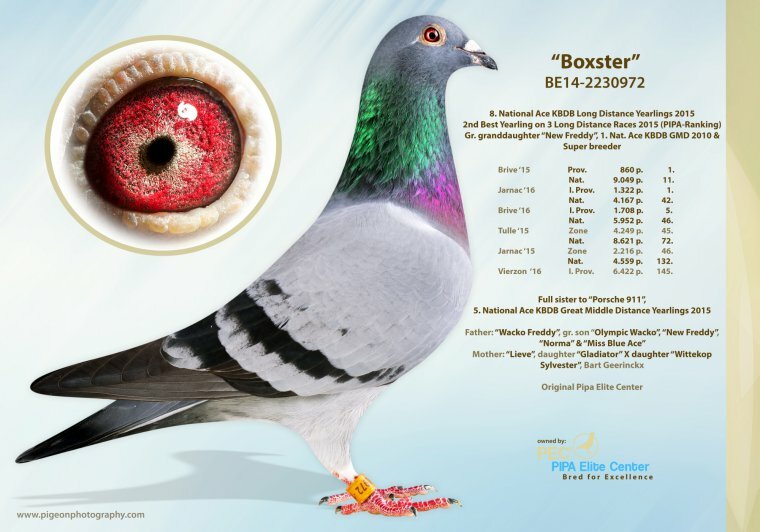 I am a fanciers in China, do not know how good you can buy pigeon strains, because I am here in Jinan, Shandong terrain is mountains, do not know what kind of strains of pigeons can fly out in our piece of Jinan, Shandong, China, Choi Wan, Thank you! Congratulations Mr. Nick !!! and PiPa ! 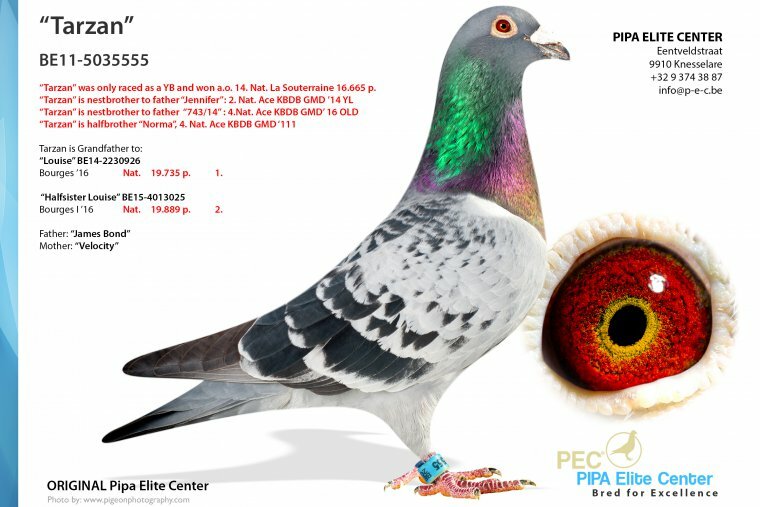 nice loft & top collections & good effort for future pigeons sports worldwide. Super duiven en prestaties TOP !!! Best pigeon collection in the world. What a fantastic collection you have. Anyone with such a collection that could not succeed should rather breed canaries. Congratulations, I don't think anyone has ever been in your fortunate situation in this sport. 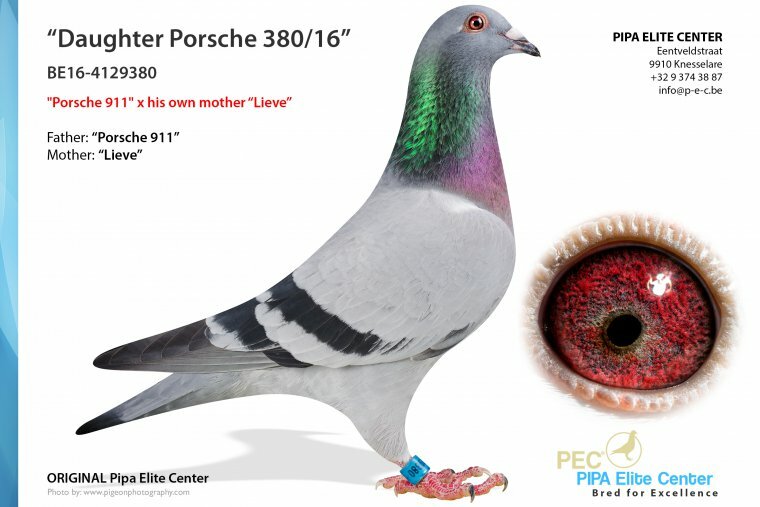 On the other hand, this is pigeon racing, and no matter how many of the champions and the best you buy, there will always be someone else that will still compete with you succesfully. 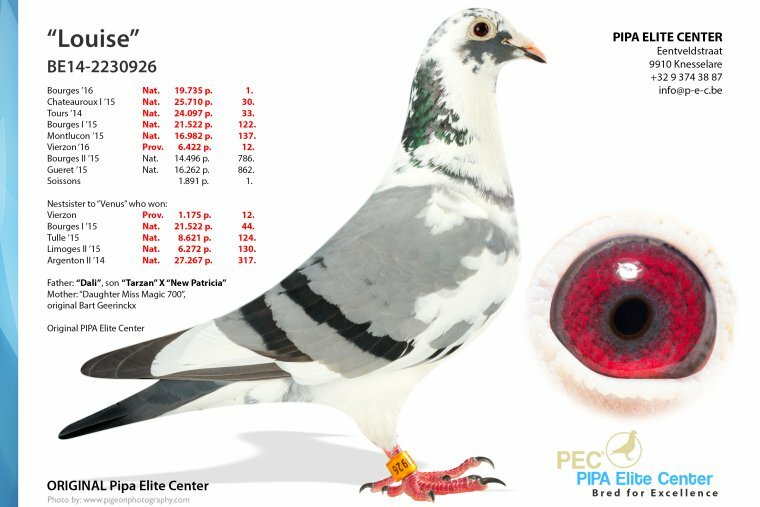 Good racing pigeon genes are to be found everywhere and even if you are able to dominate the racing, there will still be others that will stay up with you and even beat you often. Thank goodness for this reality, otherwise everyone should just break down their lofts and give up, leaving you to compete against yourself. Wishing you all of the very best as I think that raising the bar in this sport is everyones' challenge. Wishing you and your team the best from the U.S.A.
May you have many more years in sharing your pigeons with all of us. 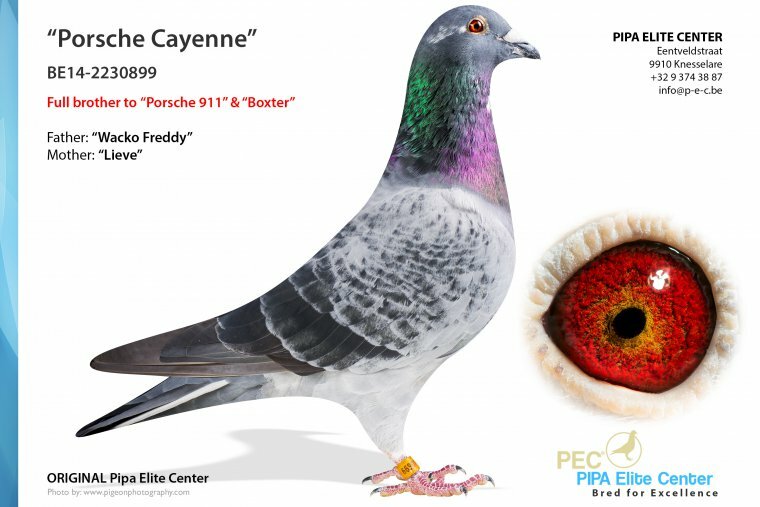 gud day to pipa elite center... i one of your fan from the phil.. i see you have a good bird.. i want yto have some of your stock bird even without race result or stock bird.. ilike to have because i have trust in you.. hope you read this letter.. thank you and more power to all of you.. im one of your big fan hir in the phillippines.. mabuhay..
thats great sir.. congrats.. more power.. i know that you you do your best to take care of them.. and the proper handling of them.. im one of your fan hir in the phillppines.. want to have some of your stock pigeon or some of your bird without race result.. i trust all your bird.. more power.. thank you sir..
Nikolaas and Thomas, congratulations for yor best reproducers!.. A Super Collection of top breeders the cream of the crop. One sure thing is when Top birds are together success is sure to follow!! Assuredly your efforts will be successful and will have a wonderful day. An unique collection of top bird, every time I visit Pipa I'm impressed by the continuously increased quality of the birds. I believe in a couple of year you will dominate National race from 400 to 800 km. 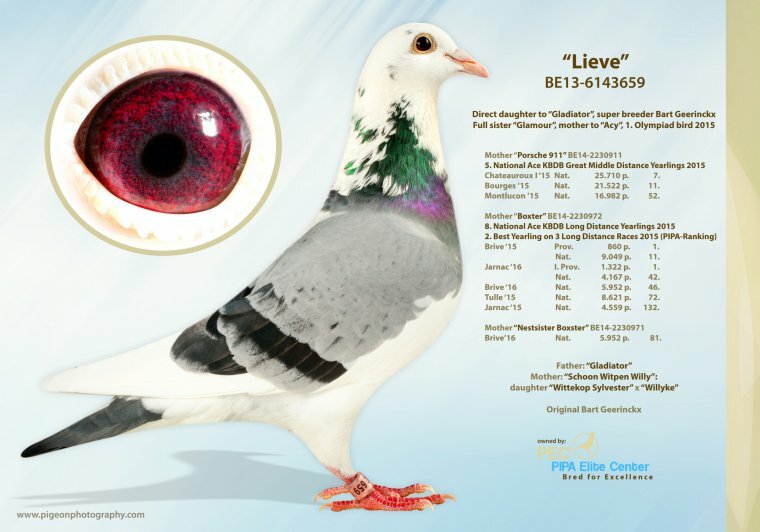 Lieve is a so marvelous hen that you put her in two pictures !!! I got you, you are from new york state? Is Super Romeo ( gaby vandenabeele ) at Pipa Elite Center????? 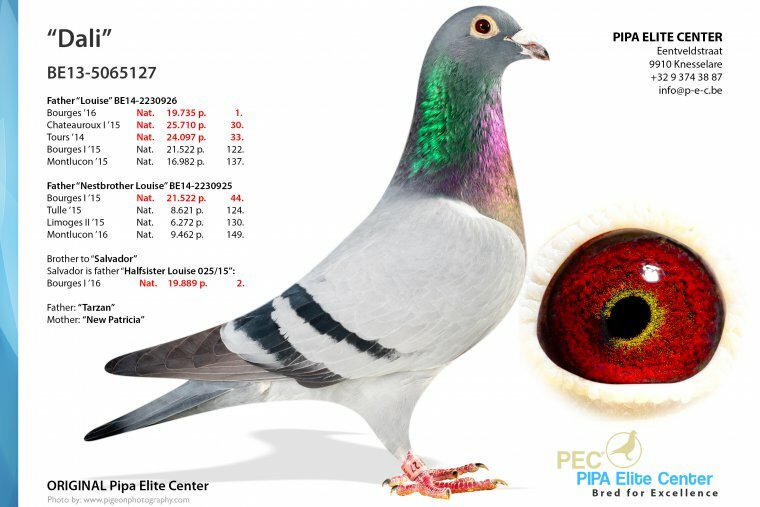 Receive my greeting and that of nieripigeons and our congratulations for the PIPA Elite Center. The colombofilia requires of the joint effort for its global diffusion since there are still countries where our sport is not recognized and there are no laws that protect the breeders. Therefore we will continue together with you to spread our sport. Receive our greeting and recognition. 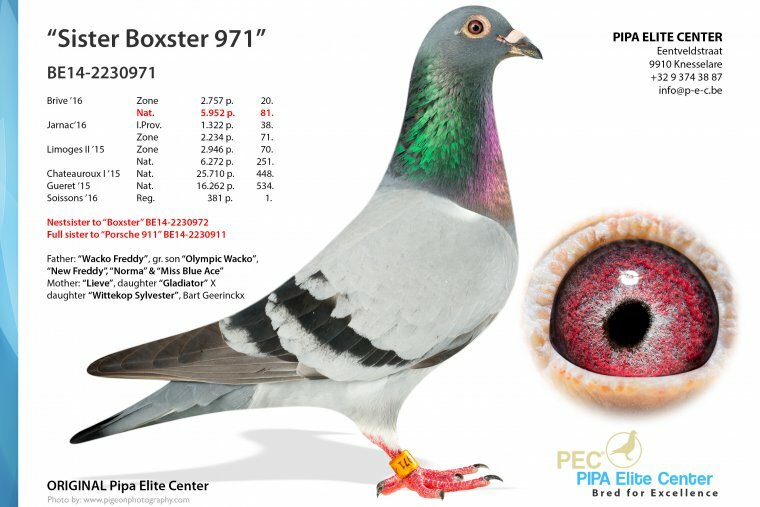 Nikolaas best pigeon Breeders for ever.